Big Chief Diamond Peace Pipe Tomahawk | BUDK.com - Knives & Swords At The Lowest Prices! This 18 3/4" hardwood handled peace pipe/tomahawk features a 4 3/4" stainless steel axe blade and a faux tobacco pipe just like what the plains Indians used. The leather wrapped handle with brass accents is a perfect conversation piece. 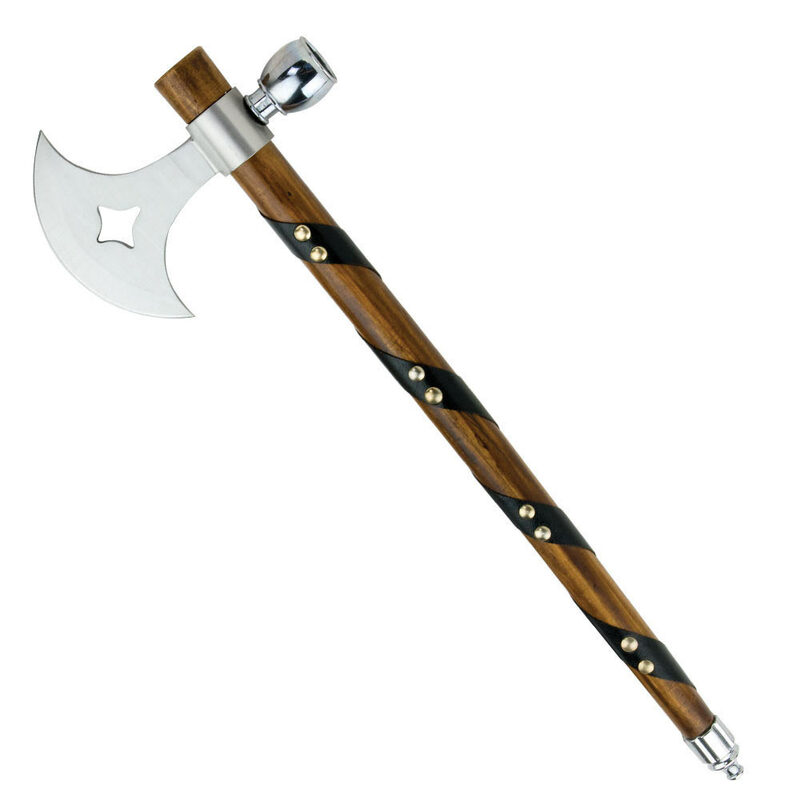 But don&apos;t let that fool you, this tomahawk is sharp! Cool tomahawk but my head was loose so I had to tighten it up with some caulk. Like the other guy said you do need to boar out the mouth piece a bit. Don't need a carb. Other then those minor complaints i'm satisfied.